In these modern times of technology overloads and a general sense of global fragility, the quest to quiet the mind and find new ways to achieve relaxation feels more important than ever. This quest has led us into a new era of wellness—one in which many people are exploring alternative healing practices that have actually been around for a very long time. 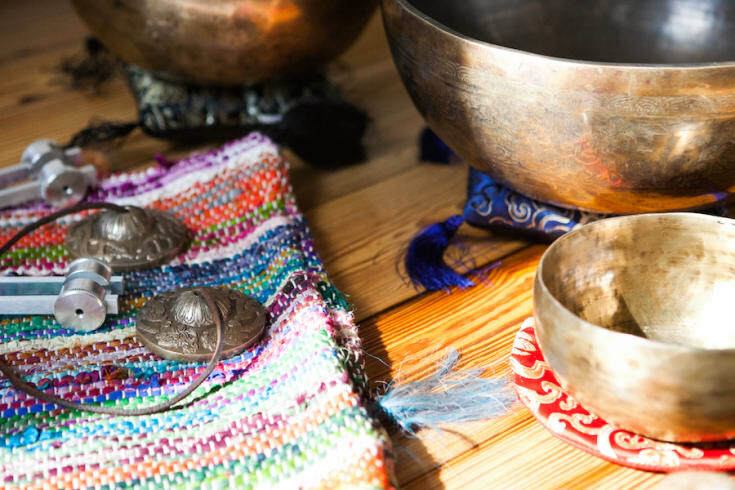 One ancient modality that's experiencing a surge in popularity is the sound bath. The process of manipulating sound for healing can be traced all the way back to the Greek philosopher Pythagoras, who utilized sound as a form of medicine to treat a variety of ailments. Sound baths are a great way to get "in tune" with yourself, and many people turn to them for stress relief. Here's a primer to help you decide if this holistic practice is right for you and to get the most out of healing through sound. 1. Understand that sound baths are not a form of entertainment.